Sitemap to all pages covering the state of Connecticut. Contributions and photography for the Connecticut guides from Alex Nitzman, Andy Field, Carter Buchanan, John Boren and Justin Cozart. 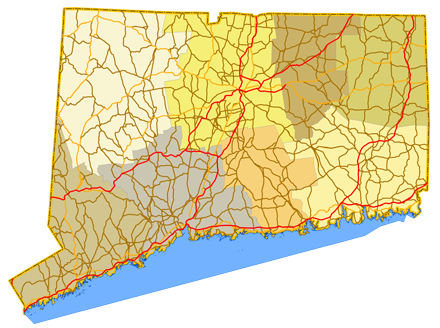 Connecticut state routes are numbered between 2 and 999. Routes numbered above 399 are unsigned and meant for internal Connecticut Department of Transportation (ConnDOT) inventory purposes. Route duplication with Interstate and U.S. Highways is disallowed. A detailed route log for Connecticut state routes is available at Connecticut Roads on Kurumi.com.